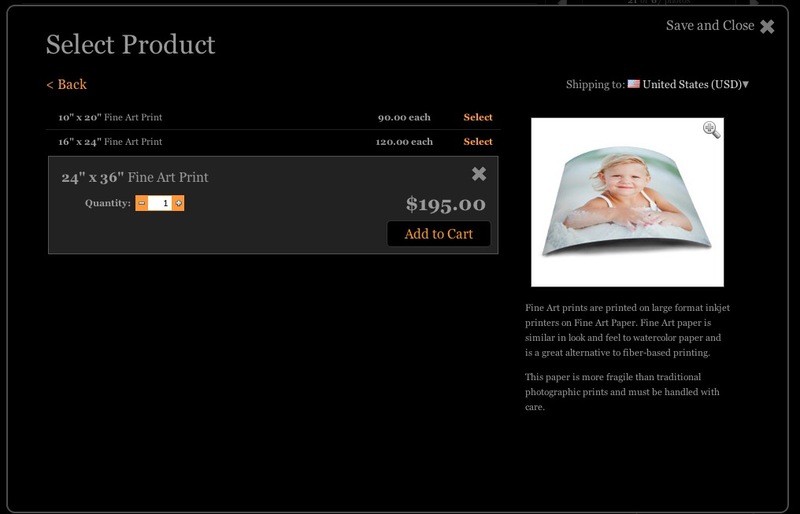 Fine Art Prints print on a sheet of paper larger than the printed image dimensions. 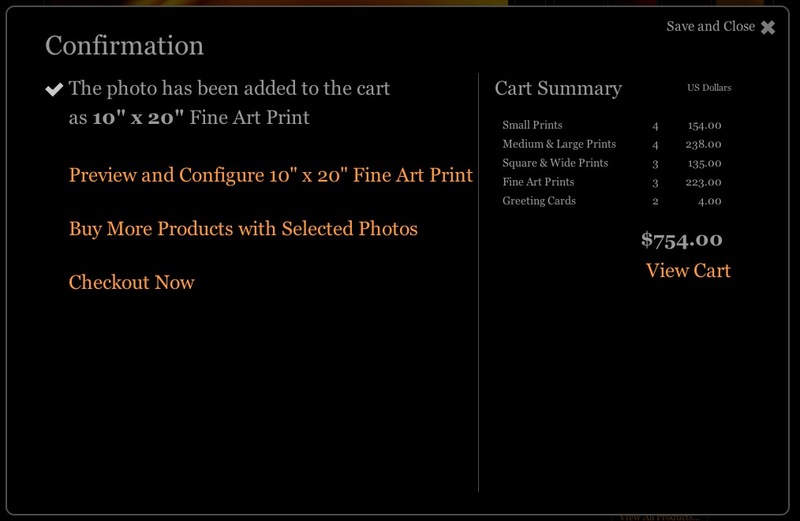 For example, if you order an 8x10 Fine Art Print and the image exactly fills the 8x10 positioning area in the configuration tool, you will receive a print on a sheet of paper larger than 8x10. This is true for all Fine Art Prints because of the nature of the print process and to allow for proper framing and matting of the Fine Art Print. 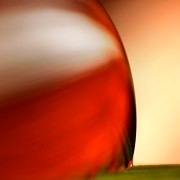 You may wish to specifically configure the image to add extra white space around the image for Fine Art Prints. The examples and discussions here show this method. 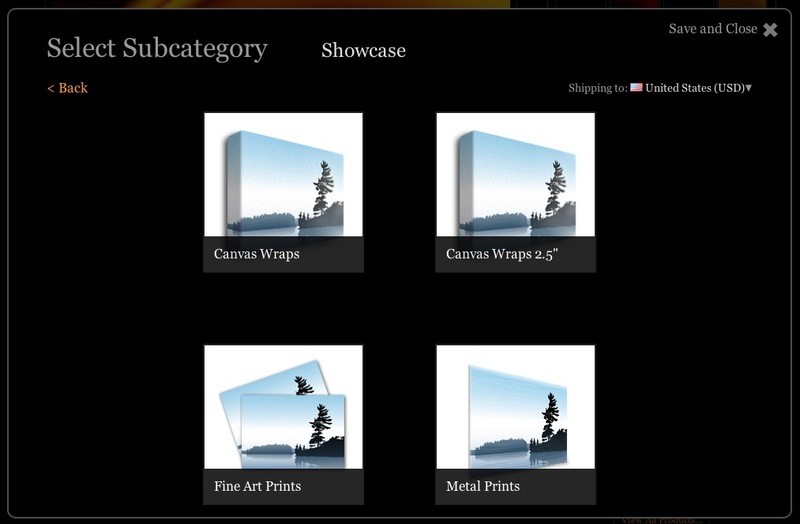 It took me a while to understand the way the Zenfolio system works for positioning the photographic image on the paper during the order process for a print (the configuration dialog screen is used to adjust image position for any print process, Canvas Gallery Wrap, Fine Art Print, etc.). At first it seemed that there were no sizes that matched many of my images. I was worried, but once I figured out the system I saw there was not a problem. Here is an explanation and a few examples of the process of selecting an image and configuring the image for printing on a selected paper size. When I first started out doing my own printing, framing and matting, I tried very hard to standardize my final print sizes and image aspect ratios to fit what were the most common sizes of prints, mats and frames. This kept costs low and made a lot of thing simpler than otherwise. It worked well when I was primarily doing Caliifornia Landscapes and even the mushroom and fungus photography, because most all of those photographs I could frame very well in the viewfinder of the SLR (as I learned photography back in the days of film). It all just worked out, because photograph aspect ratios for full frame film negatives effectively defined the 'standard' photo aspect ratio and hence the mat window dimensions with the framing following on in turn. That was all well and good for a long time,, and I continued to work this way initially when I started to do more abstract work in the dewscapes / mizzlescapes genre I was inventing. However, as I started to create more abstract and unconventional photographs,.eventually I felt very stifled to be forcing my ideas into the bounds of the standard 8x10, 11x14 and 6x9 dimensions that I had used previously. As I was doing all my own printing, matting and framing, while it was more labor intensive and cost more, it was possible to ignore those restraints. So I did. I have been very happy since then. The result however, is that this makes it a little less than obvious sometimes how to use the Zenfolio configuration tool for arranging any given image on a virtual piece of paper so the printer knows how to print it. The following examples help to explain the work around this apparent problem. In hindsight, it seems more obvious to me now, but at first this was not clear at all how to use the drag and drop and sizing rectangles to make things work! I hope these examples save you time in figuring it out yourself. This example works with a horizontally wide and vertically short image that is in approximately a 1:2 (H:V) aspect ratio - but NIOT exactly 1:2 and not close to 1:3. I want to ensure that I do not crop the image at all and see the entire image on the paper. I want to create a Fine Art Paper print suitable for me to frame myself (or give to a brick and mortar frameshop).